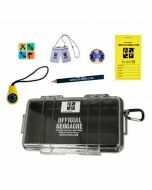 Do you sometimes wish that you could take your geocaching pack swimming with you? Now you can! The GoPack from our friends at Seattle Sports is more than just a clear backpack. 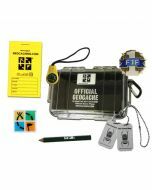 It is also waterproof to 10 feet and has the Geocaching logo! 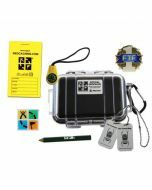 You can use it in the rain, under a waterfall or put in a logbook and turn it into an underwater hide! 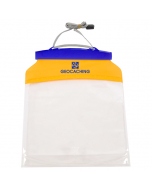 Step up your T5ing with this waterproof pack! 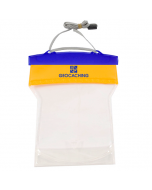 Dimensions: 18 inches x 11.5 inches with a 10.5 L capacity.